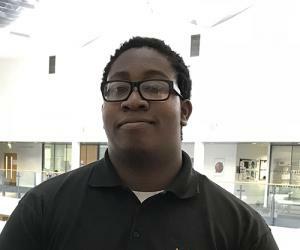 Solomon is employed as an Apprentice with Halfords. He enjoys the balance of work and College. Solomon commented that the practical tasks he performs as part of his Apprenticeship are reflected in his coursework and this has greatly helped him in his work. Solomon initially started at the College on the Level 1 Vehicle Maintenance & Repair course, progressing to Level 2. The College was recommended to him by a previous student as a good place for mechanics to learn.